Cars are very hard to manufacture. They take a long time to design and build and even longer to be tested and be deemed safe for the roads. 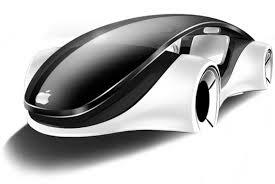 It thus came as a shock to many when Bloomberg View reported last week that Apple plans to roll out an electric car onto the streets by 2020. The iPhone maker has already assembled a team of 200 employees for the project, which includes experts in technologies such as batteries and robotics. The rumors of Apple’s new project could not have come at a more perfect time. At the current time, the company is generating $200b in revenue and currently has a $770b market cap. Apple seemingly is going after every product market with the intent of replicating iPhone’s success and continuing their growth and success streak. Further evidence of Apple cooking up a storm came earlier this month. A lawsuit was filed by a Massachusetts-based A123 Systems, accusing Apple of poaching top engineers for its project and developing a large-scale battery division that competes with A123. The lawsuit also alleged that Apple hired 5 people from A123 and has tried to bring on board battery experts from LG Chem LTD, Samsung Electronics Co., Panasonic Corp., Toshiba Corp. and Johnson Controls Inc. as well. Other hints of Apple’s plans emerged last year when reports were suggesting that Apple was in talks to acquire Tesla. Those rumors were confirmed by Tesla’s founder and CEO, Elon Musk, who acknowledged that meetings were being held with Apple. Unfortunately for Apple, Tesla was not up for sale. What [the secret ingredient] makes the Apple car the most anticipated car of the decade, more so than the Google Self-Driving Car and the Tesla electric car, is the battery. Apple is promoting a sleek, white, environmentally-friendly car with a long lasting battery and a big iPad running down the center console. The products on the market today don’t cut it with consumers because they are not able to drive very far on a single charge. It will definitely be a thrill to see Apple make an electric car with a long lasting battery. But if it can’t make the car more affordable for the everyday person, it may take longer for the car to be more widespread on the roads.